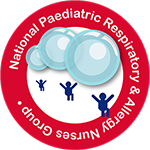 Welcome to the website for NPRANG, the National Paediatric Respiratory and Allergy Nurses Group. NPRANG exists to promote and improve the health of all children and young people with respiratory disease and /or allergic disease. NPRANG aims to work closely with the British Paediatric Respiratory Society (BPRS). Membership is open to enthusiastic and proactive nurses who are dedicated to raising the standards of care and service delivery for children and young people with respiratory disease and allergy across primary, secondary and tertiary care settings. Save the date for the 2019 NPRANG Conference - 9th November 2019. The conference will be held at the Liverpool Marriott Hotel.